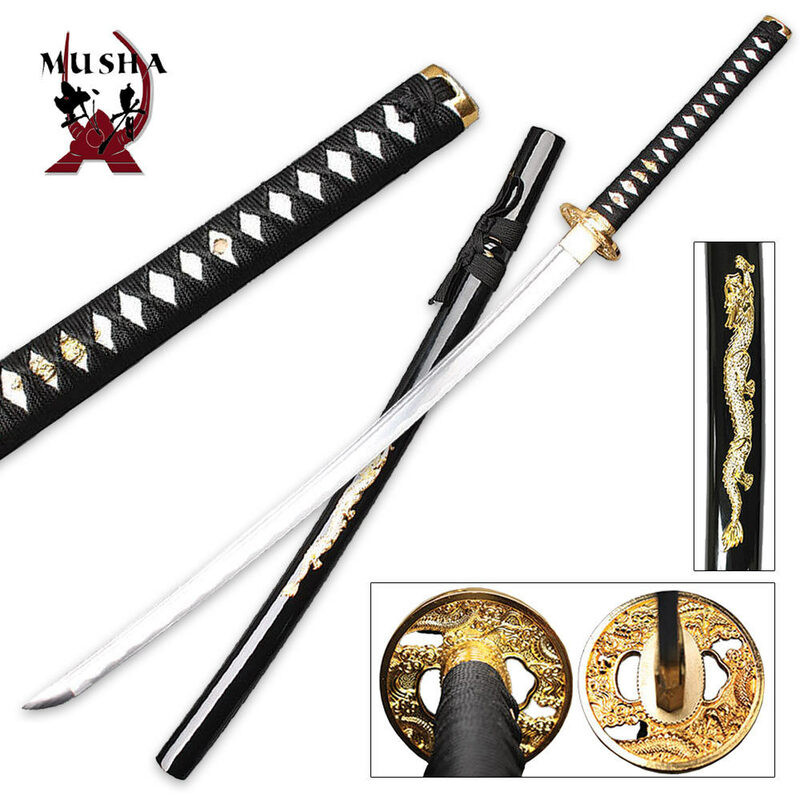 This Embellished Dragon Samurai Sword features a beautiful, hand forged 1045 high carbon steel blade that is razor sharp. The handle offers ray skin with a nylon cord wrapping and a decorative dragon tsuba. The included scabbard features a golden dragon embellishment.